The publication of J.R.R. 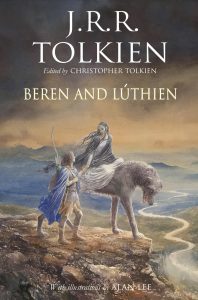 Tolkien’s Beren and Lúthien has been pushed back one month to Thursday 1 June 2017. Edited by Christopher Tolkien and illustrated by Alan Lee, the book had been due to be published on 4 May. Many fans will be reminded of the facsimile first edition of The Hobbit, which was finally published in September 2016, four years later than initially announced. HarperCollins has not yet commented on the delay.